1. 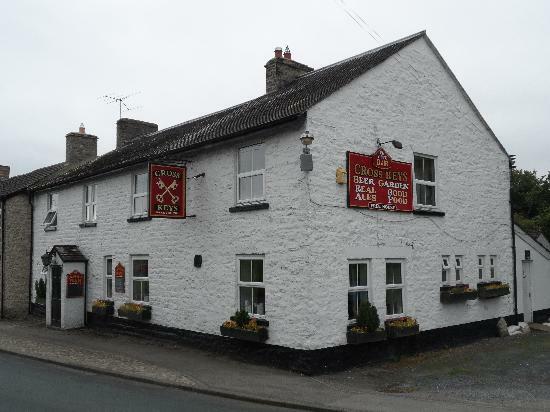 BELLERBY, Cross Keys, near Leyburn DL8 5QS (01969 622256): The main bar of this community pub has been created by opening out two rooms. Beer garden to rear. There is a strong commitment to real ale and usually some interesting beers on offer. Reopened Summer 2009 after period of closure and received a CAMRA branch monthly commendation that autumn. Ramp to rear door, level access thereafter. 2. 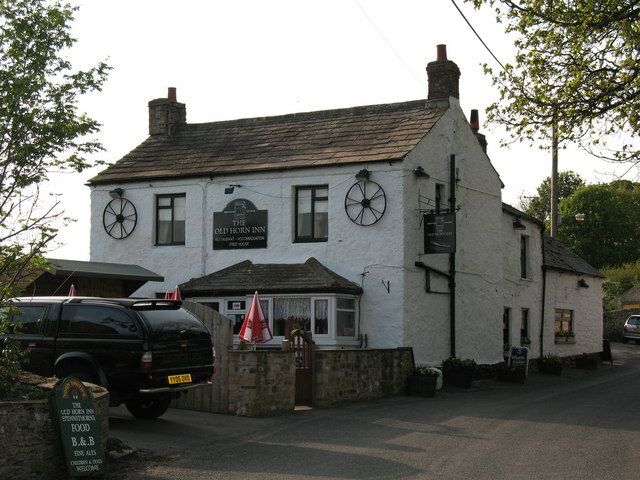 CARLTON IN COVERDALE, Foresters Arms, DL8 4BB (01969 640272): Attractive and unspoiled country inn in an isolated village. A very traditional bar with low ceiling. 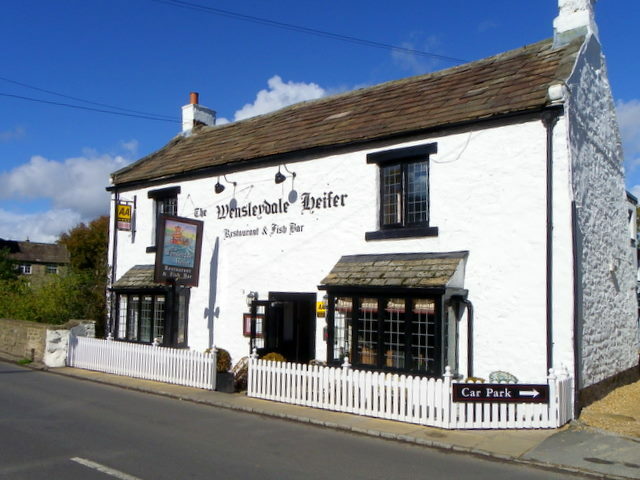 Was briefly the home of Wensleydale Brewery in 2003 but they have since relocated to Bellerby. Successfully bought by the local community and and reopened at Christmas 2011. 3. EAST WITTON, Blue Lion Inn, DL8 4SN (01969 624273): Very old pub with stone flagged floors, settles and an open log fire. Emphasis is very much on food and there is up-market B&B. 4. EAST WITTON, Cover Bridge Inn, DL8 4SQ (01969 623250): Half mile north of village by sharp bend in A6108 Middleham – Masham road. Ancient stone built pub next to a bridge over the River Cover. Three rooms, with stone flagged floors a feature and a roaring fire in winter. Large beer garden sloping down to the river. Bed & Breakfast available. Impressive range of beers; landlord a CAMRA member. A CAMRA Pub of the Year award past winner. Level access throughout. 5. HARMBY, Pheasant Inn, near Leyburn, DL8 5PA (01969 622223): Country pub with few frills and an old fashioned atmosphere. Small, cosy bar with low ceiling and real fire, larger lounge. Licensee also runs neighbouring caravan site. Keeps traditional pub hours. 6. 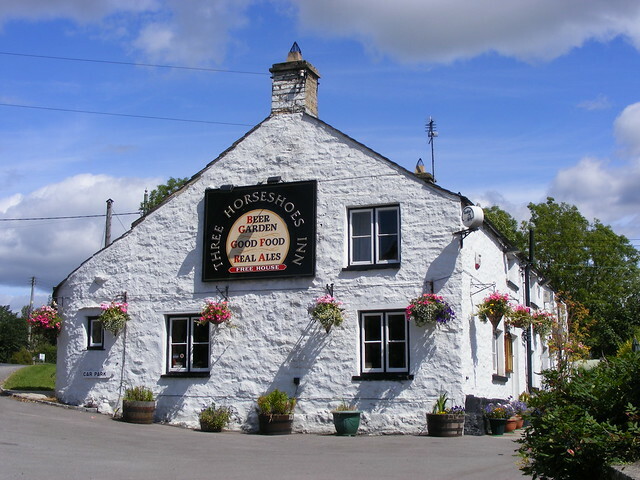 HORSEHOUSE IN COVERDALE, Thwaite Arms, DL8 4TS (01969 640206): Traditional local in a tiny hamlet, high up the dale at 250 metres. Open evenings and for Sunday lunch. 7. LEYBURN, Black Swan Hotel, Market Place, DL8 5AS (01969 623131): Attractive inn on market square serving food and offering bed & breakfast. Regular Godd Beer Guide entry and popular with diners, there is occasional live folk music. An Enterprise Inns house, managed by same tenants for some years. 8. 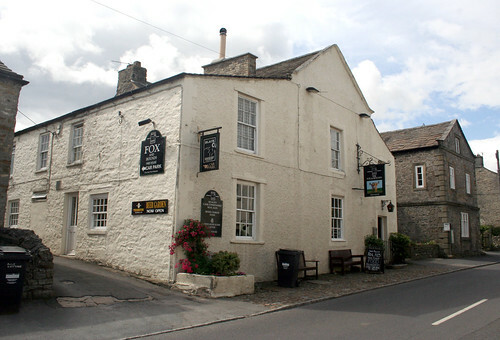 LEYBURN, Bolton Arms Hotel, Market Place, DL8 5BW (01969 623327): A comfortable Pubmaster house at the top of the Market Place with good views across Wensleydale. Opened out into a single large carpeted drinking area with a pool area behind the bar. A sign outside advertises a welcome for children and the availability of a function room. 9. 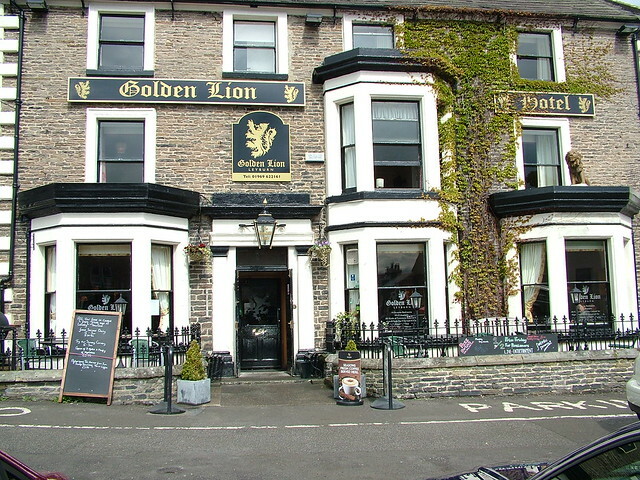 LEYBURN, Golden Lion, Market Pl, DL8 5AS (01969 622161): Market town pub with food available, opened-up and comfortable interior. In the 1990’s sold “Oliver John’s Bitter” brewed on the premises and later elsewhere. Its smart interior has recently been refurbished. 10. LEYBURN, King’s Arms, Grove Square, DL8 5AE: Locals’ bar on Richmond road just off main square with large-screen TV at one end; three separate rooms. 11. 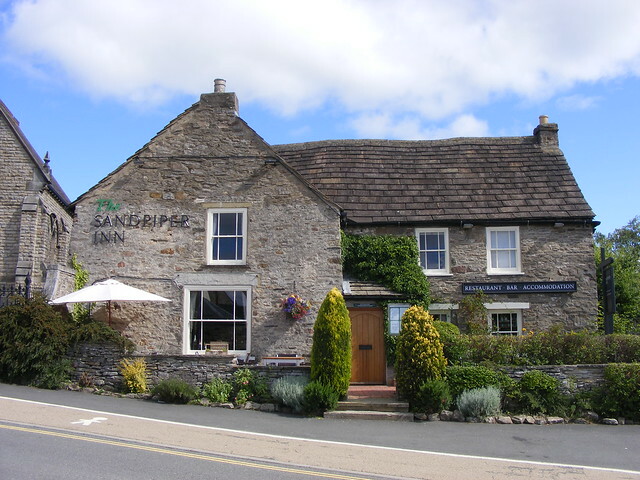 LEYBURN, Sandpiper Inn, Market Pl DL8 5AT (01969 622206): At west end of market place, it reopened after refurbishment March 2002 and is convenient for the Wensleydale Railway station. Popular with diners and has been Egon Ronay recommended, it is split into several small drinking/eating areas and a small terrace outside at the front forms a real sun trap in good weather. 12. MIDDLEHAM, Black Bull Inn, Market Place, DL8 4NX (01969 623669): Lively split-level local with three separate rooms, one of which functions as a pool room. The decoration has a distinct horse racing theme and there is a real fire. 13. 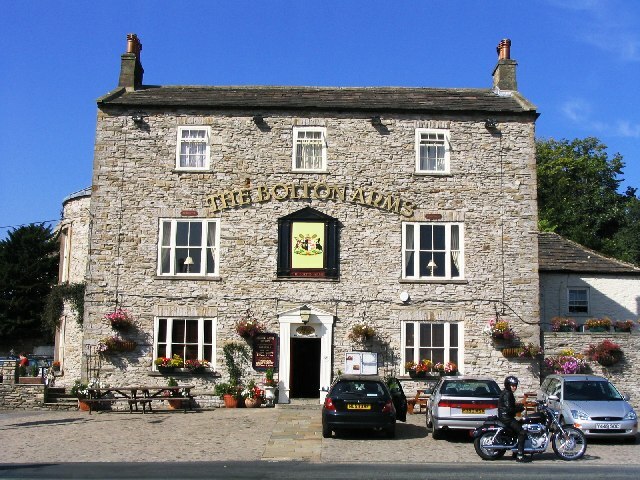 MIDDLEHAM, Black Swan Inn, Market Place, DL8 4NP (01969 622221): In the shadow of Richard III’s historic castle, this split-level pub on the village square has character aplenty with exposed beams and a separate dining room. 14. MIDDLEHAM, Richard III Hotel, Market Pl, DL8 4NP (01969 624987): Comfortable small hotel on Market Place with carpeted front bar opened out, and decorated with flock wallpaper. There is a real fire and a separate dining room to the rear. 15. 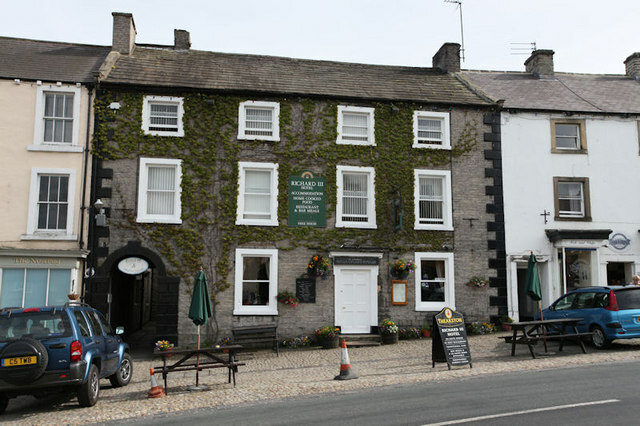 MIDDLEHAM, White Swan Hotel, Market Place, DL8 4PE (01969 622093): A historic building extensively repaired and refurbished after a major fire some years ago, its multi-roomed interior has a clean and crisp style and many old architectural features. It operates as a pub/restaurant with dining rooms to the rear and, as might be expected in this capital of the racing world, is popular with the horse racing set. 16. REDMIRE, Bolton Arms Inn, DL8 4EA (01969 624336): At the edge of the village, which is the current western terminus of the Wensleydale Railway. Enlarged in 2004, it has a restaurant and separate bar. No TV, machines or loud music; walkers welcome and five B&B letting rooms in converted stable block at rear. Pub open all day, offering meals lunchtime and evening and snacks all day. 17. SPENNITHORNE, Old Horn Inn, near Leyburn, DL8 5PR (01969 622370): Interesting country pub in a small village, still retaining several drinking rooms. 18. WENSLEY, Three Horse Shoes, DL8 4HJ (01969 622327): Excellent cosy and friendly village pub on A684 near crossing of River Ure. Redecorated and extended by the new management in 2009. Main stone-flagged bar with wood burning stove and dining tables. Additional dining space in adjacent rooms. Outside is a patio drinking area with superb views of the dale. The ladies and gents toilets, a short trek across car park, were due to be replaced inside the building when the refurbishment is completed by the end of 2009, including an extended cellar. 19. 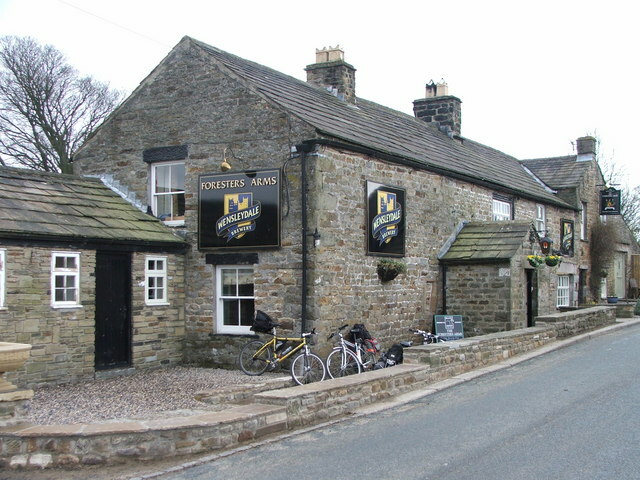 WEST WITTON, Fox & Hounds, near Leyburn, DL8 4LP (01969 623650): Run by enthusiastic CAMRA member this traditional Dales pub of character is on the on main route through Wensleydale. Popular with locals and walkers alike, it is situated at the foot of Pen Hill, where the ancient feast of Burning of Bartle takes place each August. Although partly opened out, the welcoming bar retains the feel of two separate rooms, with the bar separated from the games area by a stone chimney breast and fireplace. To the rear is a dining room featuring a delightful inglenook fireplace, complete with bread oven, plus an outdoor terrace and quoits pitch. A CAMRA Pub of the Year award past winner. 20. WEST WITTON, Wensleydale Heifer Inn, near Leyburn (01969 622322): 17th century inn of considerable character. Changed ownership in 2005 and the Chef is now David Moss, previously at The Crab, Chieveley, Berks. Following a complete refurbishment in contemporary style it is now a “restaurant and fish bar”. A very popular eating venue.